Kickstarter is a website that allows creatives to crowd source funding for their creative projects. The service received a lot of exposure when Designer Scott Wilson successfully raised funds beyond his expectations for his ipod watch band project. 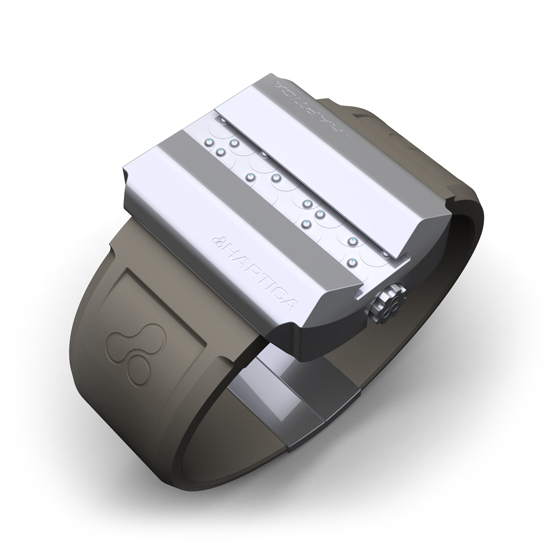 Thus, he created a lot of expectations for the platform to fund other concept projects such as the Haptica, a next generation wristwatch that has been making the rounds through blogs and museum exhibits as a potential successor to watches made for the blind. Unfortunately, the watch fell short of its funding raising $56,300 of its $150,000 goal with 390 backers but it still appears that it could’ve made it, if it either had more publicity or maybe the giveaways were tweaked. What are your thoughts?